Clackamas County Commissioners agreed that the strong opposition to a toll bridge expressed at the Jan. 15 public meeting signaled they would take it off the list of options to replace the money-losing Canby Ferry for now. But they also let it be known they are serious about finding options to replace the ferry or bring money in to maintain it. They hope to hear these options when they meet with the public on Feb. 19 at Canby Foursquare Church. "We're not going to consider a bridge, but the status quo is also not an option. We need to explore other alternatives," said Board Chairman Jim Bernard at the Thursday commissioners meeting. Options were raised by the public at the Jan. 15 meeting, said Commissioner Paul Savas. Those included a local taxing district. He's looking forward to hearing more about them and other possibilities. "We need to let the public know that continuing long term with the status quo is not an option," he said. It costs the county an average of $400,000 per year to operate the ferry, which averages only 200 passengers a day. It can't operate when the river level is over 70 feet or during bad weather. It costs motorists $5 per vehicle for a one-time, one-way trip, but they can choose a 20-trip punch card for $60. Commissioners noted that the subject of the ferry comes up every couple of years and one suggested surveying ferry riders. Where are you from, how often do you use the bridge, would you pay $10? Possibility of turning over the ferry to the Canby Parks District are all questions that seek answers. A couple of commissioners noted that the something needed to be done since the bridge is off the table. They want to hear some options from area residents for the long-term. While the bridge won't be considered right now, something has to be done or the ferry will have to go. 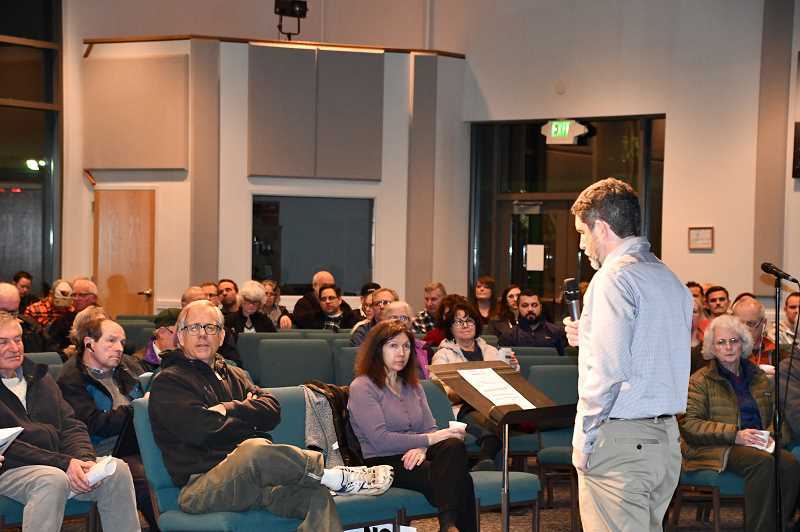 The meeting on Tuesday, Feb. 19, will again be at Canby Foursquare Church, 2350 SE Territorial Road from 6 to 8 p.m.